Personalised baby grow or sets for the cutest baby ever! 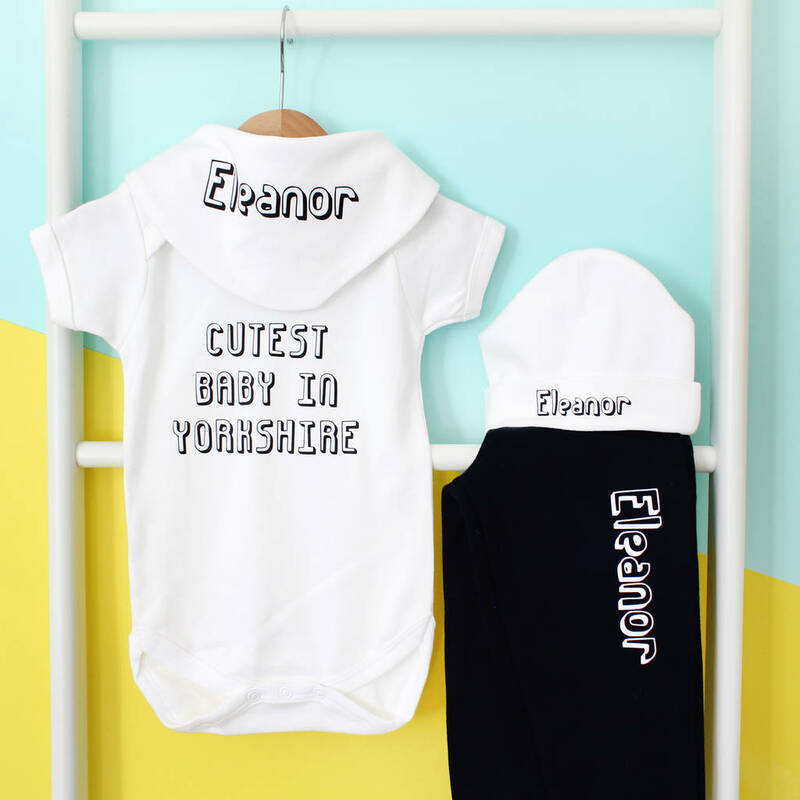 This fun little baby grow/set makes the cutest new born gift. 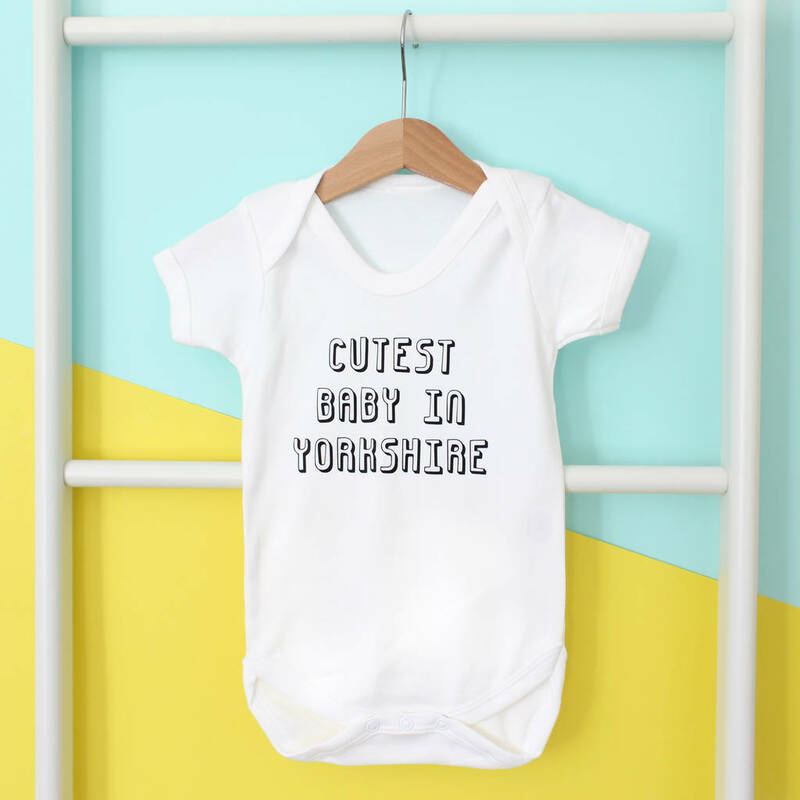 Let everyone know that your little person is the cutest around, a perfect gift from a super proud grandparent, godparent aunty or uncle. You can pix n mix to build a set so it is perfect for all budgets! The optional extras can be personalised with the babies name (see images) It makes a great gift for babyshowers! The 'cutest baby in xxxx' baby grow comes as standard. Then you can choose to add a hat, bandana bib, and joggers with your littles ones name on. Each garment is individually hand pressed by us in the Studio. black and white grows are 100% Cotton.